“We would like to inform you that we are unfortunately still working on abolishing the technical issues and hope that we will have the solution very soon. During our investigation, we determined that you did not lose any miles from your account as there was no deduction and or expiring miles. there’s only one way to find out......but posting it in public is a sure fire way of killing it. Finally managed to get through TK's website in order to issue a domestic OW ticket on UA. If you have any software friends who can interface directly with their APIs while bypassing their frontend, you too can issue tickets without talking to anyone. The process is error-prone and requires a lot of manually writing JSON. It issues correctly at the expected miles price + $5.60. domineex, thefilipinotraveler and pineapple_juice like this. Can you share the HTML/JSON code so we can play with it too on the TK API platform? It seems the star booking site is working now for N/A flights? I was able to find relatively straight forward mainline AC/UA flights out of YYZ to YVR, SFO, LAX, IAH, etc. No YQ on UA, regular YQ on AC (lower than AP). I think it might be a bit premature to say that it’s “working”. I tried some twenty domestic routes for which I know there is AC and UA availability. Only one came up as available (but for really few miles and taxes!) and of course the “one way” option hasn’t been added yet. I suspect that the call center is unable to book these either but I haven’t tried yet. Did you actually book it? Because I can get through until the point where I would put in my credit card, and continue to payment does absolutely nothing. And I emailed a few days ago to confirm with my local sales office that the system is still down. No, I didn't go through the whole process and I definitely see less availability than AP or UAMP. At least it is a good sign that TK is doing something. Did you book a TK award through an API ? I can't find which one. Can anyone provide update regarding First class awards? Can they be actually issued after reservation is made?? Can confirm Domestic awards on United are back. Sent an email to the ticketing office, got push back to call center initially, but later they were able to create an itinerary and sent the authorization forms. As mentioned earlier, 2 forms (one for miles redemption, one for credit card authorization), copy of DL and copy of card (front and back). Only US cards accepted. 15k miles RT + $11.20, no fuel surcharges. DP - Set up a reservation about a week ago. Asked them to hold it while I transferred over citi TYP. That took about 4 days. Then contacted BOS office to ticket. All done very efficiently over email and could use my credit card for taxes. Tickets now issued. Award is a one way TG-TG in business. When setting it up heard all sorts of nonsense from the call center. They either could not see the seats, or if they could would claim that they can only issue as 2 separate awards. can share BOS offcie email ? Just booked PNI-TKK UA 154 island hopper through the YYZ office. the IST call centre had problem locating TKK airport (which is not included in the list of airports on TK.com). Sales office uses a different DOS-like generic booking system and had no problem entering "TKK". 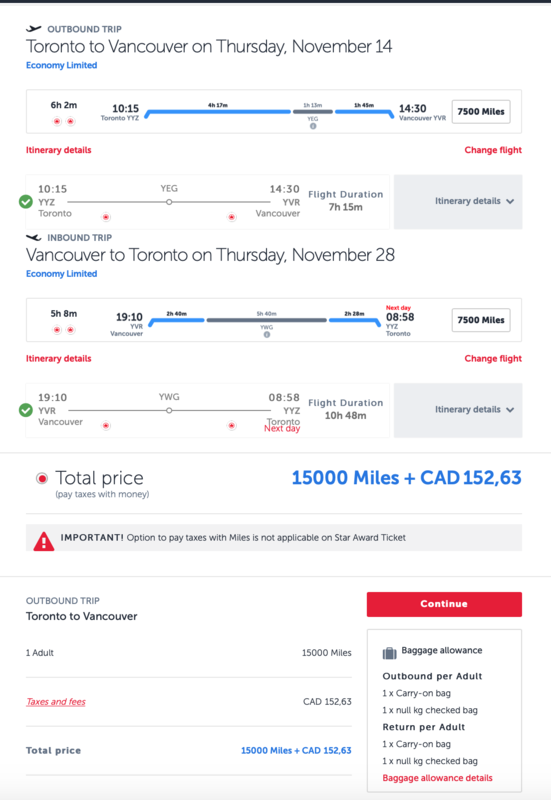 I did have to tell the agent at YYZ office that it's a domestic flight costing only 7500 miles, instead of 15000 miles for regular in-region flights. She had to change some entry to get the correct mileage. 0 tax on this route. Overall, it seems the system is now working. Finally!